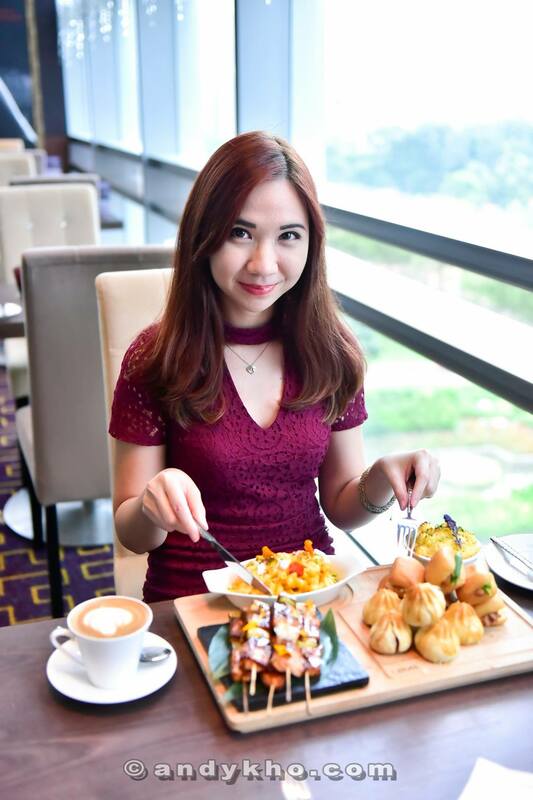 Malaysia’s Hottest Bloggers had our Christmas Party at Gobo Upstairs Lounge & Grill at Traders Hotel in an event held in partnership with Traders Hotel Kuala Lumpur as well as Calvin Klein fragrances and Kerastase. 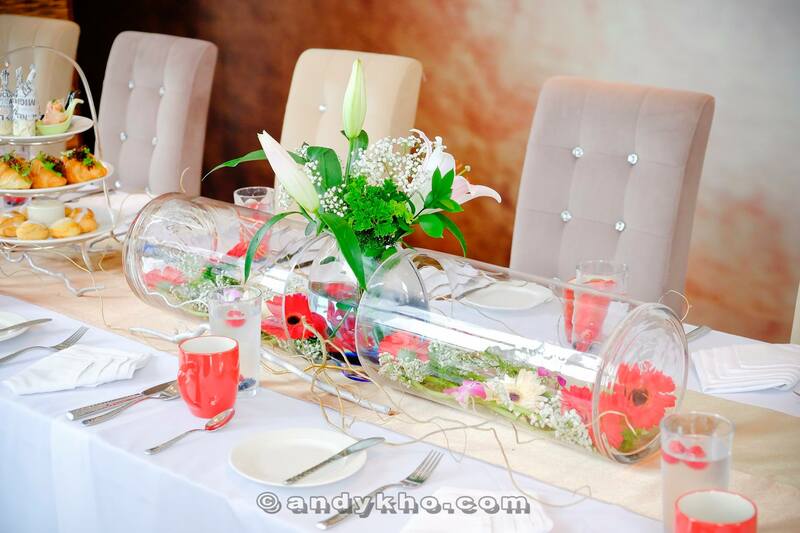 The beautiful table decor added to the mood of the afternoon! 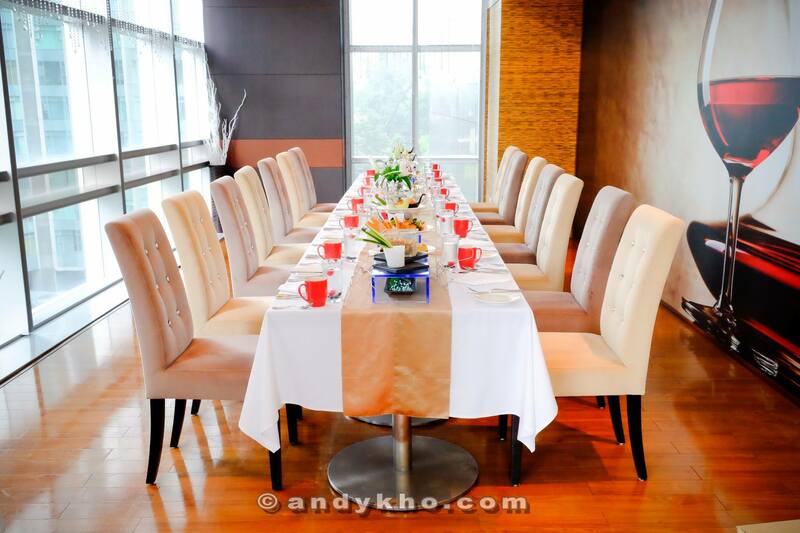 A delicious high-tea spread awaited us on the tiered trays as well as a small buffet! Spicy Sharon enjoying her food! 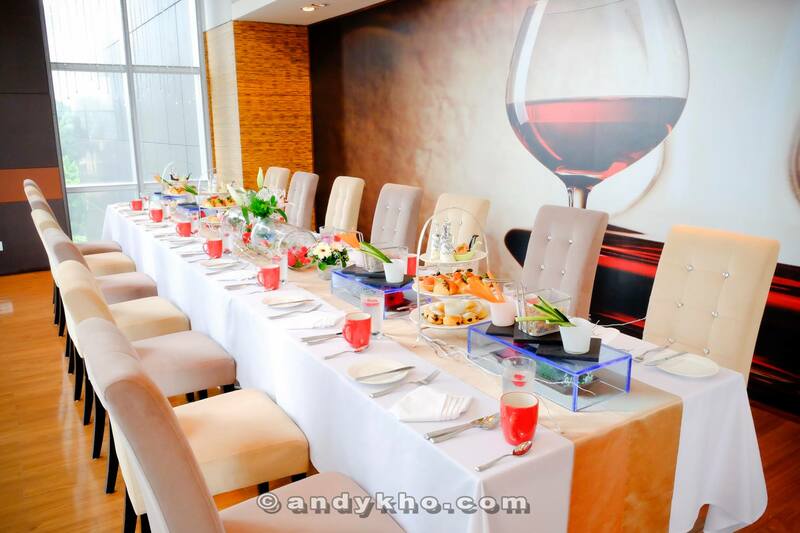 Many thanks to our two product sponsors for the event – Calvin Klein fragrances and Kerastase. The girls were thrilled to receive the products! Endless Euphoria Calvin Klein is a feminine, fruity, floral fragrance that is refreshingly light and radiant. Endless Euphoria Calvin Klein translates the provocative fantasy of the iconic Euphoria fragrance into a sunlit daydream filled with cherry blossoms and an air of sheer sensuality. This latest addition to the Euphoria family opens with an intoxicating breeze of cherry blossoms, tipped with refreshing mandarin and bergamot. the heart blooms with beguiling floral notes of violet, pastel rose and syringa. at the base, bamboo, sandalwood, and bare musk exude a dream-like seduction. The original Euphoria bottle design reinterpreted with a refreshing new lightness, while embracing its original, sensuous curves. exuding a delicate blush-peach hue and soft pink juice. The translucent glass bottle takes on a taller, softly-rounded silhouette, giving the effect of a sheer and weightless aesthetic with an infinitely polished look. The rectangular cap features clean, architectural lines in a new rose gold cast, while a lavender dip tube adds an unexpectedly modern finishing touch. The outer carton is an elegant and fresh interpretation of the classic Euphoria box, designed with a gradient from warm peach to light lavender. a softly curved petal completes the feminine design. 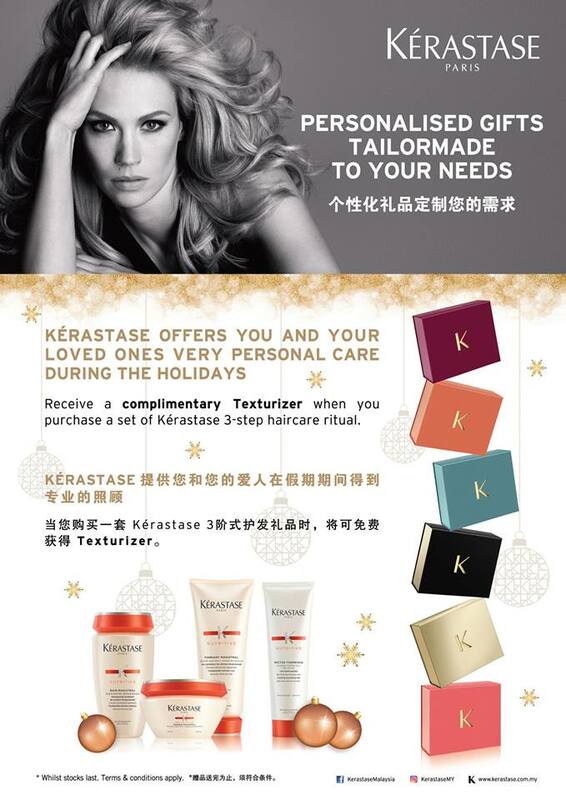 Receive a free Kerastase Texturiser when purchase a set of Kerastase 3-step hair care ritual from any Kerastase Authorised Salons in Malaysia (while stocks last). Merry Christmas and a Happy New Year from all of us at MHB!